The most basic online video production is a lecture or webinar - one guy in front of a camera, perhaps with slides or graphics. Universities, hospitals, corporations and even garage mechanics are making these shows and many are making money. But audiences are starting to demand more quality. Soon, multi-cameras, animated graphics and remote video reporting - the domain of network TV, not YouTube or Vimeo - will be the benchmark that will define success in online video. All of this might sound far beyond your financial capability to achieve, but not so. You can easily surf this new wave simply by drastically downsizing the equipment. And that’s just what TV networks did after decades of monopolizing the business. 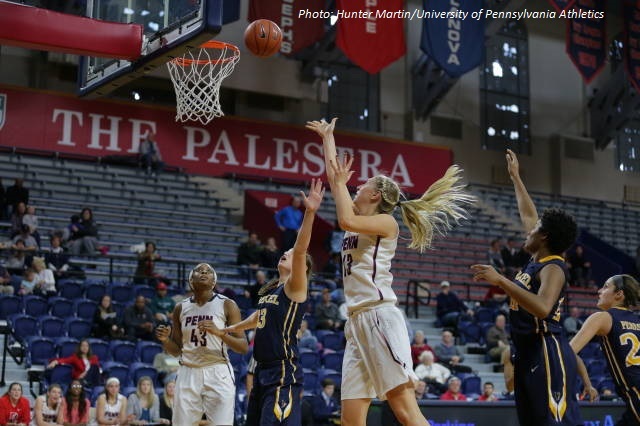 Here’s how you can be big - by getting small. Visit a TV studio in a big city - say back when we were partying like it was 1999 - and you’d have found a virtual factory full of big, expensive gear and dozens of union craftsmen. Cameramen (yes, male gender), lighting engineers, grips, electricians, technical directors, yada, yada. Go back to that studio now and despite the unions griping about the grips, it looks like Terminator II. Robotic cameras dance around the set, tally lights replace floor managers, one guy directs and switches - it’s nearly empty! But even the big networks are downsizing with technology. And so will you. We’re talking here about a one-man, multi-camera remote shoot here! No can do? Think again. And if I’m wrong, it’s because you decided to bring your babe or bro for moral support. Go solo. You can do this. And just to cover the quality vs. budget issue, I’ll develop a low-cost inventory for you and then a super-low-cost inventory - so that you can do this thing for as little as $7,500! The tools you need fit into three categories; cameras, lights and switcher. For low cost, we’re going to use cameras that you would normally use for events, sports, news gathering - something like three Canon XA10 HD camcorders ($1,700 each x 3 = $5,100). For super-low-cost, consider the Nabi Square HD ($80 each x 3 = $240) to replace any or all of the Canons, depending on how low cost you want to go. Both cameras feature HDMI jacks with embedded sound. Plug up to a 50’ long HDMI cable ($30 each x 3 = $90) from each camera to carry the signals back to a switcher (more on that later). Each camera has onboard chips for recording an isolated (“iso”) version of your show. These chips can be used to enhance your online, “switched” program in post. The Canon XA10 HD is ideal for studio and/or location work and offers a handy flip-out HD viewscreen. 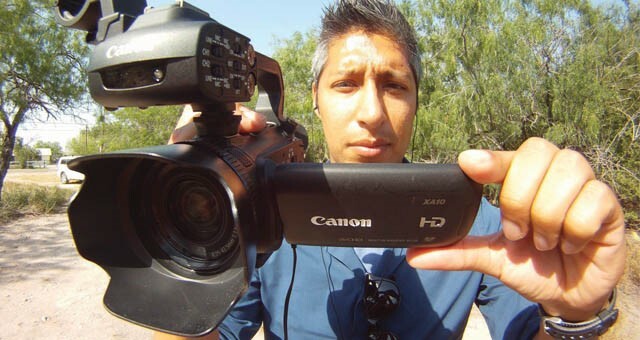 Here, used here by a KRGV-TV5, shooter, it helped that station win an Emmy Award. Since you won’t be using camera operators, select good sturdy tripods that you can set up in predictably useful places. The Canons, weighing in at less than 6 pounds can be set up on Magnus VT-4000 tripods ($150 each x 3 = $450) that feature a mid-height spreader from which you can hang a small sandbag to keep the tripod from being kicked over by a careless passer-by. These tripods are priced low enough to be used in either price package. Let’s consider an option for both price ranges that I will not include in the overall prices. Since you won’t have camera operators, you’ll place your cameras strategically to cover each area of interest and overlap their coverage for good editing. Also consider fitting one or more with a remote-controlled camera head. The head mounts between the tripod and the camera and provides panning and tilting motion to the camera (sorry no zoom control yet). The Swivl Robot (with free Cloud at $399), offers a unique capability. It comes with a remote microphone on a lanyard. Put the mike around your neck and the camera will follow wherever you move within 360 degrees and 30’ distance! Use one for the keynote speaker in your setup and one for an audience’s question-asking station. Unfortunately, the Swivl won’t work well with the larger Canon cameras, but it’s perfect for the Nabi (or even a mobile phone or tablet!). For the Canon, buy the Bescor MP-101 motorized head ($130), which features optional, long remote controls with which you can pan and tilt the camera from your central location. While it is simple to record and/or stream one camera into the web, two or more cameras have to be switched electronically, mixing the multiple audio-video signals into one “program” stream. This switching function also happens to be the most logical point to control all of the creative aspects of the show. In addition to simply creating a “program output,” (taking a deep breath) you might consider the need to color-correct each camera and match it to the other cameras for seamless transitioning, putting titles on the speakers, employing various digital transition effects, adding full-screen graphics, adding green-screen “chroma key” graphics (like the weather person), employing “virtual sets,” rolling in a video source from a remote or HDD source, rolling in animation, mixing audio from cameras and microphones, storing each camera’s chip content on a central database, taking to your talent through an earphone, and finally (long exhale) to actually streaming your video out to the web. Back in the day, you could cobble a solution using camera output converters fed into a laptop, then using various software products to do many of the tasks I just listed, but have you ever tried to put all those functions up on a MacBook Pro screen? More important, have you ever risked your job, career or reputation on a final result made with dozens of products from dozens of corporations, none of whom is responsible to the other and only by “money back guarantee” responsible to you? There’s a simple solution to acquiring the “network control center” totality of a streaming video switcher in one box and the price ($5,995) is about the total cost of all the cobbled together solutions that ruled the streaming web business of just 5 years ago. 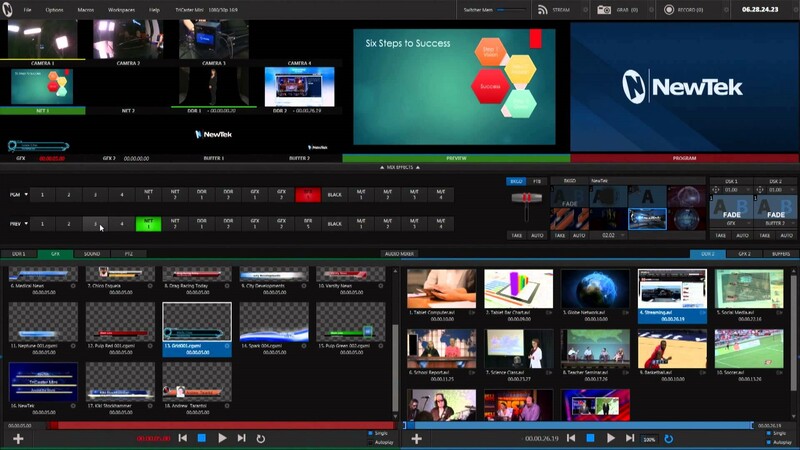 The NewTek, TriCaster Mini HD-4 allows you to connect up to 4 cameras simultaneously, color-correct the cameras, separate the embedded audio from each camera’s onboard microphones and live mix them, and dedicate each camera’s output to resizable icons on your connected monitor. In addition to the four cameras (resolutions up to 1080/30p), you can employ12 additional switcher channels of audio/video from almost any source, from a thumb drive to Mac, PC the screen of which can share real estate with the Mini. Want a remote from the field? You have two network sources which can use IP sources, an iPad, or AirPlay and other devices to bring the feed right in to your program. The nexus of any multi-camera shoot is the control center where the cameras are switched and hundreds of other utilities are combined to create a finished program output. Here, the TriCaster Mini screen during an online demonstration on the YouTub webzine, "KitPlus." Creatively, once you have all these sources at your fingertips, you can employ hundreds of 2D and 3D digital transitions, some with embedded sound effects, which you can customize. Use up to 5 integrated digital media sources for video, graphics and sounds. Employ up to 15 still and title buffers to make complex graphic effects that even allow Adobe Photoshop’s blending modes. You can employ any of more than 30 “virtual sets,” or task the included green-screen “chroma key” engine to make your talent appear to be broadcasting from an exotic location, the source of which is a Istock.com video source of say, Paris or Vegas. On the output side, you have jacks to feed two HDMI program monitors, a projector output (great for producing event “Imag” feeds with full effects), and of course a network output to feed your streaming show out to the web. Need to back up your program and iso camera sources? Mini’s got a 750 GB storage drive. Although I’ve noted here only the low-budget solution for robotic camera heads, if you have or anticipate acquiring the more expensive, PTZ capable cameras, the TriCaster Mini will allow you to control pan, tilt and zoom directly from the interface. Good video lighting requires at least three lights (key, fill and back) for each camera. The assumption of three cameras in this remote package suggests that nine lights will be required and that is what you should obtain. However, on many locations two or more lights will remain in your travel case. This is because you will almost never shoot on a totally dark stage, where no existing light, either from windows, direct sun or existing lighting is not already illuminating your set. Also, the positioning of your on-camera subjects (for instance in a tight, coffee table arrangement) will allow you to use a key light on one person as the fill light for another, or one backlight for two people. One of the first things you need to do when arriving on a location is to assess where every camera subject will be throughout the production (inferring, of course, that sometimes a subject will need to be continually lit from one place to another). Then, figure out where you will place your cameras. Finally, either by estimating from experience or actually putting “hot” cameras in place and seeing what the cameras show, decide where you need to place the lights. This is not a tutorial in lighting, but I have found that it is economical to determine where the backlights will go first. This may seem odd at first, but consider this: On location you do not have the benefit of a ceiling grid from which to hang a backlight. Consequently, the stand of every backlight will be a challenge to hide. I’ve heard that Darwinists remark on the symbiotic relationship between video lighting directors and the small tree, ficus benjamina. Hiding those metal stands are a challenge! Negotiate that challenge before committing the position of the other lights. Of lights, stands and power cables - here’s what you need. For low-cost fill lights, the Genaray SpectroLED Studio 500 BiColor 2-light kit ($860) will provide you with all the fill lighting you’ll need for a general 3-camera set-up. It’s always a good idea to shop around for lighting solutions that best fit your individual needs. There are many manufacturers with comparable offerings and price points that are worth a look, too. 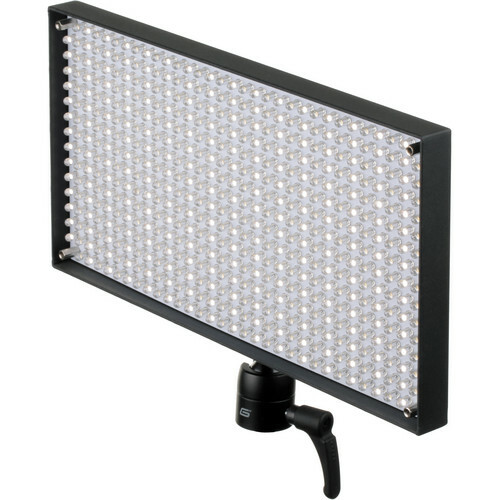 These include Cool-Lux, Fiilex, FloLight, Frezzi, Kino Flo, Litepanels, and more. Augment these with six more LED instruments, which could be two Genaray SpectroLED-14 3-light kits ($800 each x 2 = $1,600), which are rich in accessories like horizontal extension booms from which to hang a light at some distance from the support stand - that is, to avoid needing a ficus tree to hide the vertical. All of the kits above come with bags, stands, power cords and accessories as well. The rear view shows the selection and dimmer controls and reveals a 12V battery power jack. Take this baby out to the streets! The remaining low-cost light should be mounted on the one camera that you might break loose from your configuration to do run-and-gun interviews or B-roll. This might be the Ikan iLED 120 on-camera LED light ($115), which can also double as an on-set key light, or any comparable light from the manufacturers listed above. This light is only daylight (the others noted here are both day and tungsten convertible), so pack an extra #85 orange gel to convert it to tungsten. LED lights are excellent for low-cost location lights as they are light, cool, dimmable, can run on battery power and the bulbs are rated for around 50,000 hours. However, if we’re going to get really small, the super low-cost lights will have to be tungsten. 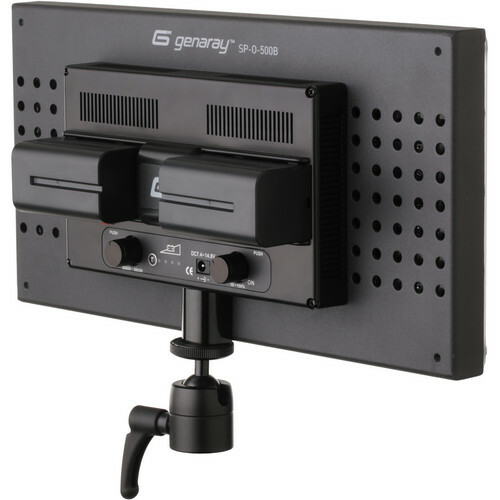 To obtain a super-low-cost budget, replace the LED Genaray 500s, with the Impact Tungsten 2-Floodlight kit ($110) which includes two 6’ stands and cut your budget by $750. For the backlights, try three Impact Mini-Boom 1-light floodlight kits ($80 ea. x 3 =$240). Two Impact Qualite 300 Focusing Flood, 2-light kits ($560) - which include barn-doors and stands - will give you four great key lights. And with the money you’ve saved, you can afford a tenth light, the classic Lowel ID-Light 100W, focusing flood light with accessories ($220). Since all these super-low cost lights don’t come with carrying bags, shop around for one or two inexpensive, hard side, carry-on airline bags with wheels. Buys some foam and outfit the interiors to carry all your lights, stands, cameras and computer. You should be able to fit everything into the back of an SUV and carry it all from the parking lot to the set in one or two trips. And don’t forget to buy some 4-way, wind-up 120V extension cords and a few rolls of gaffer tape to make the cord runs safely wherever people walk. By totaling up the costs for the low-cost and super-low-cost equipment I’ve suggested here, then adding in $250 for incidentals, your total would come out to about $14,500 for the low-cost and $7500 for the super-low-cost package. Now, do you think a one-man, multi-camera field production set-up for between $7,500 and $14,500 will get you out there making a profit in very little time? Hey, you can pay for the entire package with one good shoot! 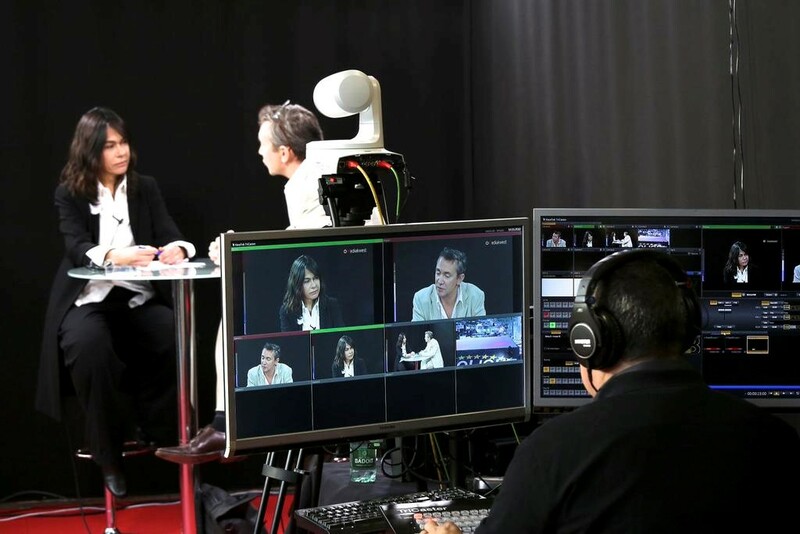 To Learn more about TriCaster Mini click here, or to find out which is the best TriCaster for you, read more.